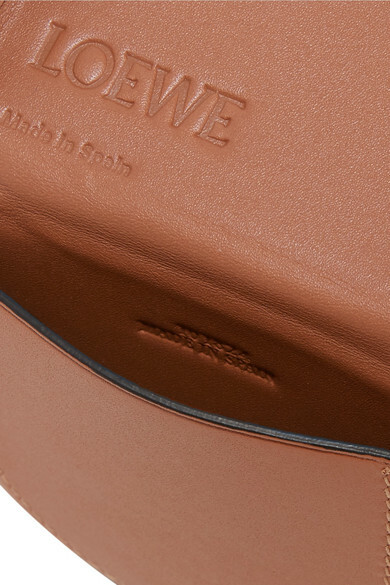 Part of Loewe’s third collaboration with Paula's, this little 'Heel' pouch resembles a trinket you could have found during the Ibiza boutique '70s heyday. 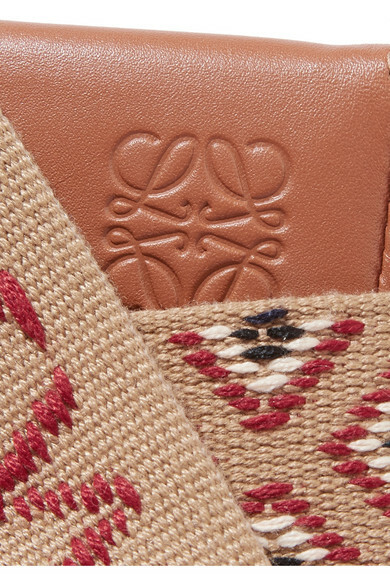 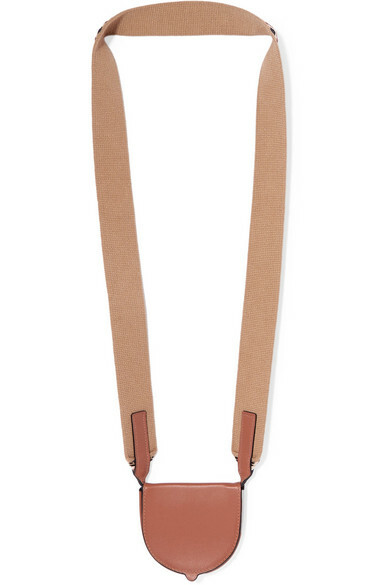 Made in Spain from tan leather, the saddle-shaped pocket sits on a canvas strap woven in a geometric motif. 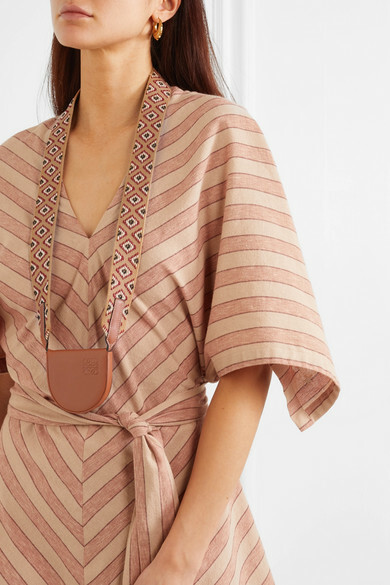 The styling options are endless – slip it on cross-body over a floaty dress, drape it around your neck or loop it through the strap of a bigger bag. 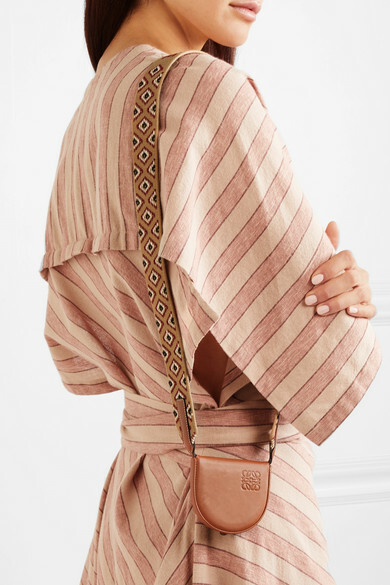 Shown here with: Loewe Dress, Valentino Earrings.